Bone fractures are common traumatic injuries that temporarily disable individuals from some daily activities. 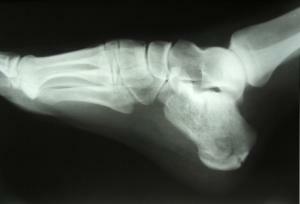 Stress fractures: They are caused by excess pressure placed over the same spot over long periods of time. Impact fractures: They occur when the blow inflicted on the bone puts a lot more stress over it that it can handle at once. Pathological fractures: Certain diseases debilitate the bones to the extent that slightest sudden impacts can make them susceptible to fractures. Bone fractures are characterized by intense pain, swelling, bruising, deformity and inability to move. It is necessary to find ways by which the healing time and complications associated with fractures can be reduced. This will not only provide relief to patients but also reduce costs related to treatment. This article evaluates the use of the medicinal plant, Curcuma longa or turmeric in bone fracture healing. 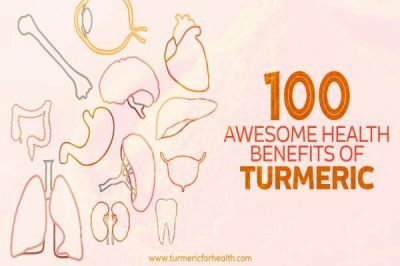 Role of Turmeric in Bone Healing – Can it Help? Curcuminoids- They are responsible for the yellow color of the rhizome. Volatile oil- It imparts the pungent aroma to the spice. Curcumin which makes up 90% of curcuminoid content is mainly responsible for the medicinal properties of turmeric. Bones possess the property of regeneration and repair in response to injury and this process of redevelopment is similar to how bones were generated for the first time during the fetal stage of human life. Most fractures heal withouthe t formation of scar tissue and the new bone developed is not different from the injured bone in any aspect. Bone healing involves the participation of many cell types, cell signaling pathways and factors which regulate the immune system. 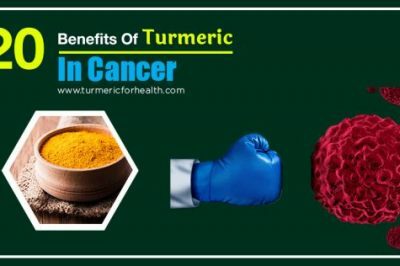 To best understand how turmeric can help in bone healing, let us understand what role it can play in various stages on bone healing. Although it is a continuous process, for the purpose of understanding the process completely we will split bone regeneration into phases and explore how turmeric would affect each of these phases. After fracture, first blood cells migrate to the tissues surrounding the site of injury. The blood vessels constrict to prevent blood loss. hours a blood clot known as hematoma is formed. All the cells within the clot degenerate and die. Even the cells at the tips of the fractured bone are deprived of nutrition and they die. This step is very vital because the presence of such quantities of necrotic material initiates an acute inflammatory response. This phase lasts for about 7 days from the day of injury. Immune cells migrate to the fracture site and secrete proteins that promote inflammation. A loose aggregate of cells called granulation tissue develops. Cyclo-oxygenase 2 is an enzyme produced at the site of inflammation and plays an active role in the process. A study was conducted in mice to where their fractures were treated with painkillers. Painkillers are known to inhibit COX-2 and it was seen that fracture healing failed in mice treated with painkillers. Research also shows that regular painkillers may initiate a set of reactions which ultimately lead to bone resorption and impede bone healing. Therefore some health practitioners advise only a short term of painkiller usage as they could delay fracture healing. Painkillers are reported to have side effects like stomach ulcers, digestive disorders, kidney failure, increased clotting risk etc. It is known to reduce inflammation by regulating the activity of various enzymes and proteins belonging to the immune system. Also, turmeric is not reported to cause any side effects as caused by painkillers. Therefore turmeric is considered a viable natural alternative to painkillers for the treatment of inflammation. Having said this it would be important to bring to one’s notice that inflammation is a vital part of fracture healing therefore consuming anything antagonistic to it should be done with great care. 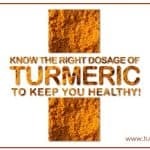 Low doses of turmeric are advised in this phase and it is best to consult a health practitioner about the same. Turmeric, especially curcumin, acts as an immunomodulator-it regulates immune responses and this effect is subject to dose and duration. 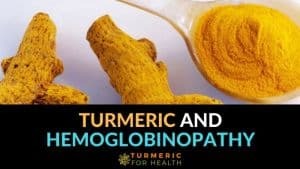 This suggests that turmeric could help in controlling inflammation only to the extent that it could reduce pain and swelling without affecting the bone repair. Also, no study has reported that curcumin could lead to bone resorption like regular painkillers. 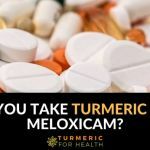 Turmeric and curcumin are safer alternatives to regular painkillers prescribed for pain and swelling occurring in bone fracture. Unlike regular painkillers they do not cause side effects and don’t impede bone healing. In this phase, the stem cells recruited earlier now begin to differentiate into cells with specific functions. The cells closest to the fracture gap differentiate into chondroblasts and form hyaline cartilage. The cells further away from the gap develop into osteoblasts and form woven bone. These tissues grow in size and unite to form fracture callus. Osteoblasts aid in the formation of blood vessels in this new tissue. The callus is now replaced with lamellar bone by osteoblasts after deposition of calcium hydroxyapatite crystals. This new lamellar bone is finally replaced with trabecular bone and most of the original strength is restored. Osteoblasts perhaps are the most important players in this stage of bone healing. 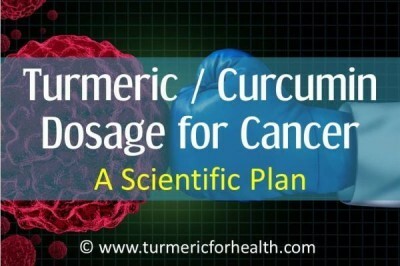 Curcumin obtained from turmeric is reported to have a positive effect on osteoblasts. A study conducted in China proves that the stem cells recruited in bone repair are promoted by curcumin to differentiate into osteoblasts. This activity of curcumin is attributed to the fact that at low doses curcumin induces heme oxygenase 1 (HO-1) production in the stem cells. This enzyme is essential for a stem cell to grow into an osteoblast. The results showed that curcumin could significantly enhance the osteoblastic differentiation of the stem cells by upregulation of HO-1. Curcumin’s ability to promote the growth of chondroblasts or bone forming cells aids in hastening the reparative phase of bone fracture. This phase involves the replacement of trabecular bone by compact bone. Osteoclasts first absorb the trabecular bone and then osteoblasts deposit compact bone. The new bone developed closely imitiates the original bone’s shape and strength. This process takes about 3-5 years to complete. The remodeling process involves activation of many proteins and different pathways which lead to the production of osteoclasts. Turmeric is reported to inhibit osteoclastgenesis, dose dependently. These findings are based on research directed towards anti-inflammatory diseases and conditions like osteoporosis. Bone remodeling is very similar to a process named bone turnover. Bone turnover is a constant process which occurs in our body and the bone tissue is renewed by this process. Studies show that despite inhibiting the growth of osteoclasts, curcumin still balances the activity of both osteoblasts and osteoclasts and maintains the bone turnover process in diseases that cause bone loss. In other words, curcumin supports the formation of new bone tissue. Also, most of the research on curcumin’s activity on bone health, suggests that curcumin has bone protective effect. Research does show that curcumin inhibits the growth of osteoclasts or cells that absorb bone and these cells are vital in the remodeling phase. However this effect is dose dependant and possibly occurs at high doses. Also curcumin despite of inhibiting the formation of osteoclasts does not prevent formation of new bone tissue. As mentioned previously, sick or weak bones are also susceptible to fractures. Osteoporosis is the most common bone disease that leads to weakening of bones and increased risks of fracture. Bone is a living tissue which is constantly repaired in the body- old tissue is replaced with new tissue. This process includes the absorption of old tissue and deposition of new material. Osteoporosis occurs when there is increased reabsorption of old tissue and new bone is not developed. Apart from genetic inheritance being the main cause, osteoporosis is significantly seen in post-menopausal women. A research study performed on ovariectomized rats investigated whether low or high doses of curcumin had a substantial effect on bone loss caused by osteoporosis. Low dose was 10mg/kg and high dose was 50mg/kg and these do was administered for 8 weeks. It was seen that only high dose could bring about a significant increase in the mechanical strength of the bone. 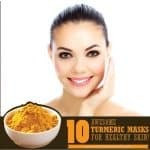 This effect of curcumin is brought about by its anti-inflammatory activity which inhibits the activities of signaling molecules which promote osteoclastgenesis. Reduced osteoclasts lead to reduced reabsorption of bone tissue thus preventing bone loss. Strengthening of bones reduces risk of fractures. STAT1 belongs to the family of factors essential for cell growth, survival and differentiation. STAT1 protein is responsible for the production of interferons- proteins produced in defense to pathogens. A study conducted in the fracture model in mice showed that the events involved in the repair phase such as fracture callus remodeling and development of lamellar bone are accelerated. Curcumin is proven to inhibit the phosphorylation (addition of phosphate group that can alter the activity of the protein) of STAT1 due to its anti-inflammatory property. Curcumin can also help with pain occurring in bone fracture. 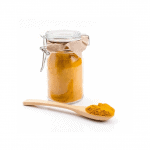 (Read Turmeric for Various kinds of Pain). Turmeric has excellent wound healing properties. In fact, traditionally turmeric paste is applied to fractured area before dressing it. Traditional bone setting practice carried out in Puttur, Andhra Pradesh, India goes by the name of Puttur Kattu. This technique was invented in 1881. This practice involves diagnosis of exact fracture or dislocation followed by generally two sittings of bandage application. In the first sitting only the paste of the medicinal herb Cassia accidentalis is applied and a bandage is fixed with the help of bamboo sticks. This reduces pain and swelling. During the second sitting, the paste of the herb is applied in combination with a mixture of egg white and turmeric. This enhances bone healing by formation of bone callus and bone remodeling. However, it is important to know that this healing process is attributed to the skill of aligning the bones and not to the herbs. The herbs just act as catalysts to the healing process. Traditional bone setting requires training and though profound literature can be found in Ayurveda regarding this topic, even qualified Ayurvedic doctors are not able to practice bone setting. Ayurveda recommends topical application of turmeric paste in case of fractures, only when the bones are carefully aligned and bandaged with great precision. This can be done only by well-experienced practitioners. In case of inflammation due to bone fractures, it is advisable to consume turmeric supplements over painkillers but within prescribed dose limits. 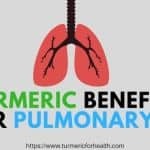 Turmeric supplements are also proven remedial in case of diseases such as osteoporosis and rheumatoid arthritis which pose the risk of fractures. Turmeric consumed as a culinary spice is reported to be safe. The dosage mentioned below is the daily dose limit of turmeric and not doses prescribed for bone fracture healing. 400-600mg of standardized powder can be consumed 3 times a day. In the case of fluid extract (1:1), a dose of 30-90 drops per day is prescribed. 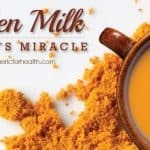 The best ways to take turmeric for bone fracture are The Golden Paste and Turmeric Milk. You can also add turmeric to your daily diet. We have some great recipes right here. If opting for supplements, then this resource can help you find good brands. 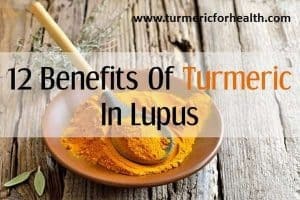 Also, it is important to note that inflammation is necessary for bone healing, so even if an individual chooses turmeric supplements as an analgesic over commercially available painkillers, the dose should be limited. The skeletal and immune systems have a tightly woven interactive network. The skeletal system is home to the bone marrow- the reservoir of stem cells which further differentiate into a variety of cells including immune cells. The immune system, apart from its defense to pathogens, is greatly involved in bone repair and healing. Therefore it is vital to study the molecular basis of this interaction so as to understand the state of the skeletal structure during inflammation. Most of the studies conducted on turmeric are in relation to treating bone cancer, osteoporosis and arthritis. It would be inappropriate to quote these studies in reference to bone fracture healing. However many of them show that turmeric exerts a bone-protective effect. 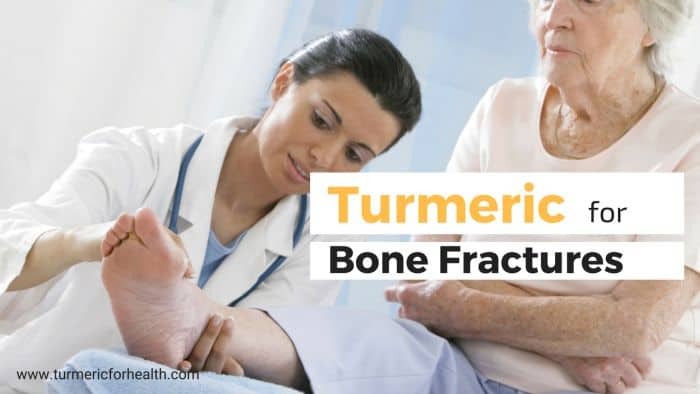 Also, the dose of turmeric taken for healing bone fractures is much less than the concentration used in cell culture so it is not likely to cause any detrimental effect that would impede healing of a bone fracture. Lastly, we should acknowledge curcumin is a pleiotropic molecule- it has multiple pharmacological responses depending upon dose and duration. Turmeric Milk is the best remedy for hastening repair of bone fractures. 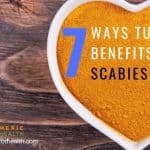 Can turmeric hell compression fractures in my back? thanks for sharing. 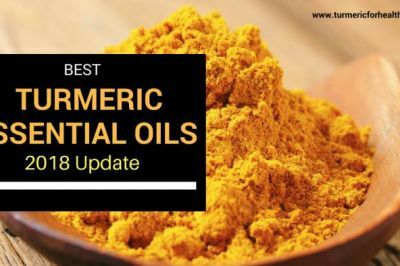 Turmeric has antiseptic benefits and it may help in healing bones at some extend. But other medications are also required for proper treatment. Hi. Thank you for feedback. Yes, turmeric as an add-on therapy can help accelerate healing of fractures. What would you recommend please for osteoporosis? I am trying to prevent it worsening and increase my bone density naturally. Thank you. Hi. 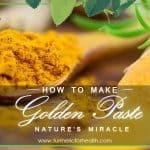 You can take Golden Paste for benefits in osteoporosis. Start with small doses such as 1/4-1/2 tsp and if you see no side effects then increase the dose gradually to 1 tsp 3 times a day over a few weeks. I’m agreeing with the last comment here. I had foot surgery where section of bone had to be cut and removed. Have been taking 1800 mg of turmeric a day for two months. My arthritic back is feeling great but the bone in my foot is not healing. So I’m discontinuing it and will see what X-ray shows in three weeks. Hi Kim, The dose of turmeric you are taking is fairly high. 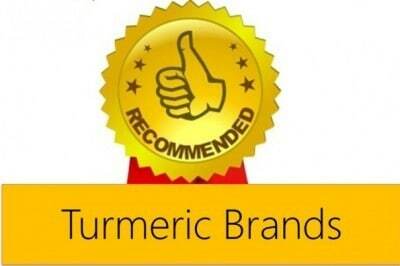 We would recommend you to take turmeric in diet and as Turmeric Milk. You are the best judge of your health and we hope you get better soon. Hello, I recently underwent a fracture of proximal end of left tibia and was admitted into hospital on the 5th of September (today is the 21st) and I have been taking medications that I would definitely say no to but the pain can get to be unbearable. My tibia did not move when fracture occurred but the fracture is definitely there. I unfortunately chose to have a plate placed on tibia to ensure displacement. I have pain still and I just am seeking other options. Any help would be extremely helpful. Thank you. We would recommend consuming 1 cup of Turmeric Milk a day. This would help with inflammation, pain and healing. You could also consume Golden Paste daily. Start with 1/4 tsp a day and gradually increase the dose to 1-2 tsp 2-3 times a day or how it suits you. Take this with meals to avoid acid reflux. Avoid taking Golden Paste at the same time when you take meds. Keep a 2 hour gap atleast to avoid side effects. Yes turmeric helps in relieving pain. You can take Golden Paste. Start with 1/4-1/2 tsp a day and gradually over weeks raise the dose to 1-2 tsp 2-3 times a day or how it suits you. Best taken with meals and avoid taking it close to other medications. You can also try turmeric milk or tea. Sabiha,My mom has rheumatoid arthritis and she is wheelchair bound since 25 years she is 65 years of age right now.last week she fell down from wheelchair and broke her femur bone in right leg.surgery is not possible because her knees are fused .so what are the treatment for her?thanks. You can start with as small as 1/2 or 1 teaspoon a day with meals and increase the dose based on her tolerance. 1-2 teaspoons twice a day should help. If she is taking any other medications, avoid taking this paste with the medicines. My mother is 83Y old. She has her cancer removed from her left upper arm in 2012, and then she under went intense radiation. On 19th of January 2016, she fractured her bone in the upper part of her arm, where there is practically no muscles and the bone i believe is brittle after the radiation she received. She also has lymphoadema and require treatment from time to time. She has a pace maker, uses CPAP machine while sleeping as well as few both the knees replacement, and back operation. Now 12 weeks there is no growth of bone and she is on a cast. The orthopedic doctor is not sure if the new growth will happen? Her bone density test done few years back was much much above average. Any suggestion? 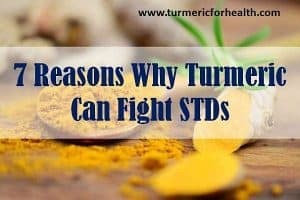 Will tumeric milk help? And what quantity of tumeric should she take on daily basis and for how long? Yes turmeric milk will benefit her immune system. You can start her with 1/4 to 1/2 tsp of Golden paste and then gradually increase it to 1 tsp 2-3 times a day if it suits her. She can take this forever as it will benefit her bone health, reduce pain and protect her from cancer. 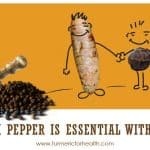 Turmeric and black pepper .. I couldn’t comment at the bottom of the article but I think it is right on. I tell people about your web site because it is a well of helpful information! Your web site has been so helpful to me in many ways…. Four years ago I was in a car accident and have a hip replacement, and numerous plates and screws in various other parts. I healed very quickly and walk just fine, but I still suffer from pain at night so much that I often couldn’t sleep. I would sometimes take a pill for the pain just to sleep, but I don’t like to take drugs. I said I still suffer…but that’s not true any more! 5 days ago I started drinking turmeric/ginger tea every day and NO MORE PAIN! 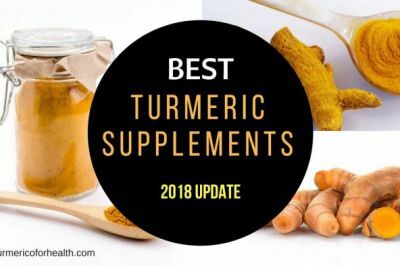 Are you going to plant some tumeric? Many thanks for your inputs and appreciation. I agree with you 100% here. I recently met with a small accident, it was not a bone fracture but a bad impact on knee. I was prescribed heavy painkillers (docs have no other medicine for it!) for it. I decided to take turmeric milk instead. Things were all right after a few days, more importantly no side effects. Regarding planting turmeric, I am extremely lazy and good quality turmeric is so easily available here. But I plan to do that for sure. Years ago here in Costa Rica we used tabacon (a large long leafed plant that lives in trees) and honey to heal a bone fracture in my hand…So I have no doubt that tumeric works wonders as well. I only wish that I knew then what I know about the wonders of turmeric…internally as well as externally. So I can be certain, I have three breaks in my left wrist, including the scaphoid bone…going into the fourth week. In cast three weeks and two days. Cast to come off in two weeks and five days. I have been taking Ibuprophen, but stopped…though still in pain. Don’t want to do anything to prevent healing. Should I take Turmeric or not? Took one this morning and now worried about it Help? Hi, yes you can. The issue is when we are at first phase (around 7 days) where inflammation is necesseary. As you can see in next two phases turmeric can help. 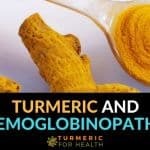 No need to take painkillers as turmeric can help there. The supplements I have says to take one a day. Does that sound about right? Should I swallow a little oil and pepper with it? What ?Time of day? Having lot of pain with this. Think may have frozen shoulder too. Cast to come off at end of 8th week now, Two bone healed nicely and in complte aligbment. Scaphoid still not healed, yet two weeks ago but in perfect alignment and knitting together well. Hi, I would recommend spice and not supplements. You can do so much with spice which is not possible with supplements. With spice make turmeric paste and if possible take turmeric milk too once a day. It should definitely help. It is tried and tested home remedy for pain for fracture in India. Unreal! Did just this, this morning. Used to do it all the time. My bones have healed and came out of hard cast yesterday…swollen and stiff. Any advice in this phase>? Keshavk, I respectfully disagree with your above statement that that it helps in phases 2 and 3. 2 yes but with 3 it appears clear that inhibiting osteoclastgenesis (creation of osteoclasts)is a bad thing and that the anti inflammatory properties of tumeric can also get in the way. Am I missing something here?